The SBA Sports Management and Entertainment Group is a full service sports and entertainment company that offers our clients a unique blend of services to ensure that they maximize their full potential as athletes, coaches, and entertainers. Our staff boasts the highest academic, professional and experiential credentials as well. The SBA uses a holistic approach to representation, which enables us to advise our clients on all aspects of life and business. 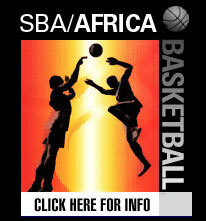 The SBA Sports Management Group recognizes that the choice in selecting someone to market you as a professional athlete and coach is an extremely important decision. Accordingly, the SBA is founded upon principles that will assist you in that decision. Our mission is to provide the best possible service in the industry. We will assist in every way to fully develop, explore, leverage, and maximize your quality of life and career. Not only are we interested in your athletic prowess, but we are deeply committed to the overall development of young men and to serving as examples for them. The SBA Sports Management and Entertainment Group is dedicated to providing personal, consistent, and hands-on attention to all of our players and clients. The marquee caliber of players and coaches the SBA Sports Management and Entertainment Group represents provides tremendous leverage and exposure to secure marketing contracts, endorsements, appearances, and licenses with companies, organizations, and event promoters seeking athletes and entertainers. We pursue local, regional, national, and international marketing campaigns and strategies that provide highly visible promotional opportunities and personal appearances. Our marketing approach is comprehensive and extremely thorough at every level as well as we explore every income-generating avenue that exists for players. Additionally, we encourage and facilitate our athletes to establish charitable foundations and other community-out-reach programs, generating positive public relations, to increase our client’s public exposure. The SBA Sports Management and Entertainment Group’s mission is to guide and motivate our clients to garner the most out of their talent and abilities. We take pride in utilizing our experience and offering a holistic approach helping our clients find their spirit for success.